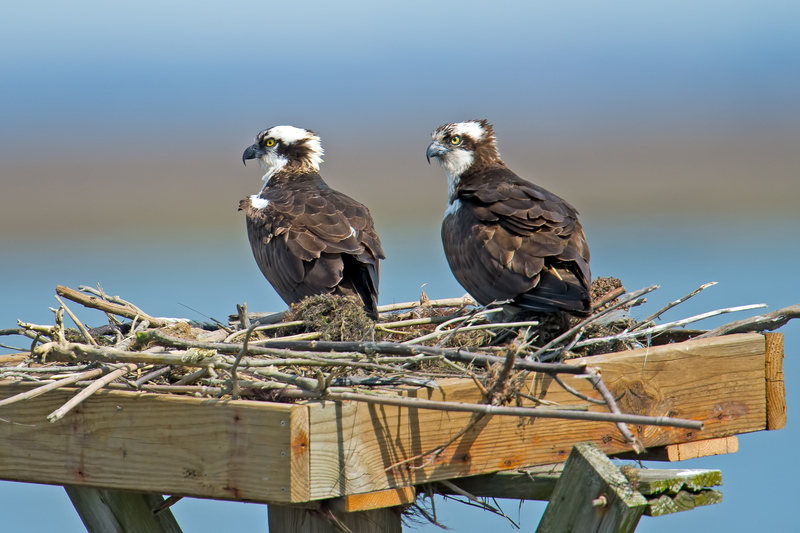 On Saturday, January 19, Conserve Wildlife Foundation of NJ (CWF) will host an osprey platform construction day from 10:00 am to 3:00 pm at Tuckahoe Wildlife Management Area in Woodbine, New Jersey. Volunteers who signed up in advance are helping to build up to 20 new platforms to replace those lost or damaged in Superstorm Sandy. Constructing these platforms now will allow CWF time to install them before the start of the osprey nesting season in April. Ospreys mate for life and typically return to the same nest year after year. Since Sandy slammed into the coast of New Jersey in late October, biologists with CWF have been actively surveying and assessing damage to habitat that wildlife needs to survive. Many osprey nesting platforms were right in the middle of the high winds and strong storm surge associated with Sandy. The majority of the platforms weathered the storm; others need repairs or must be replaced. We have already installed 5 new nesting platforms. Two platforms were installed on December 1st on Herring Island (N. Barnegat Bay) in an area of homes that sustained significant damage. The other three platforms were installed in the Wildwood area.